This portfolio uses examples of Microeconomic exercises and their partial solution to argue that associating a writing intensive approach to the traditional approach of teaching Microeconomics will enable students to develop a solid ability to think like economists. Microeconomics has the ability to arm students with many conceptual tools like “opportunity cost”, “time value of money”, “elasticity”, “and monopoly”. These tools and students should become friends for life. Many students unfortunately view this course as one difficult to grasp and apply to real like situations. It is my belief that the traditional method of teaching the course doesn’t train students to think like economists. I do belief that it is possible to teach it in such a way that students will not only enjoy the course, but will acquire a firm grasp of key Microeconomic concepts, and confidence in using graphical illustration of economic models to analyze relationships amongst economic variables and the determinants of the changes. Traditionally, Microeconomics is taught as a lecture class. These lectures are based on PowerPoints, and a talk-and-chalk approach, where students listen to lectures, read text and solve numerical problem, all of which can be very passive. Given that mathematics is the main analytical tool of economists, Microeconomics is usually mathematics intensive. Hence, students tend to emphasize acquiring mathematics skills, and face major difficulties learning to think like economists. The emphasis of most lectures is on the ability of students to solve mathematical models of economic problems without necessarily enabling students to understanding the economic problem. Again, students never really learn to reason like economists – they frame economic issues into mathematical models or explain models in words – all of which is a process that takes time. Students spend most of the semester solving textbook exercises designed for students and are unable to interpret the results of mathematical exercises in words or the implication or significance of the results. In addition, students become passive learners and mostly focus on passing examinations rather than independent thinking and active learning. Also, there is a belief amongst most economists that writing skills are of little value to economists (I was one of them – I actually hated writing! ), and quantitative skills are emphasized. Hence, economics students do not take writing seriously and the majority are unable to think like economists. There is enough evidence to support the claim that students who have well thought out writing exercises and assignments in their classes learn the material more effectively than those who do not. Using the writing intensive approach does not primarily focus on making students better writers, though they do become in the process, but rather fluent Microeconomic thinkers. Writing is a form of active learning that enables students to interact substantively with the content in association with their professor and fellow students. Bain and Zimmerman (2009) clearly distinguish between shallow learning (memorizing the material to pass the test) and deep learning (learning for understanding). Not only does this approach of teaching help students practice working with and thus learning economic concepts, but it also facilitates the assimilation of the class material and encourages fruitful and productive class discussions. Microeconomics focuses on the behaviour of individual markets and the smaller individual units that make up the broader economy – producers, consumers, investors, and workers. 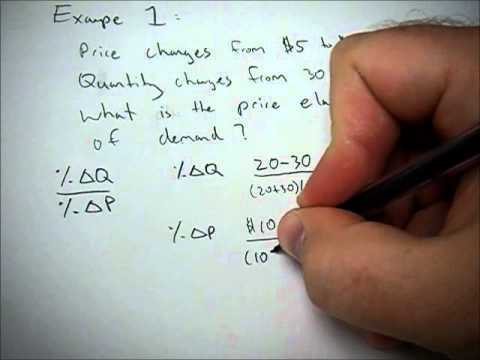 Problem-based and role-playing exercises present a hypothetical economic problem and the student has to play the role of a Microeconomic consultant. The main goal is for students to learn how to use Microeconomic concepts as tools to analyze and solve real life issues. When students become familiar with analyzing these scenarios, they will be asked to use real life situations from the news to do the same. The following examples will be helpful to understand what this approach looks, like and can be developed for all the key concepts taught in lectures. The following questions and solution serve as examples for students to understand how to use Microeconomic concepts to answer real life questions. 1. I need to buy lightbulbs for my new apartment. Should I buy the energy efficient ones with a higher price tag on them or settle for the cheaper model? Scenario: Michele has to make a choice between a very energy efficient light bulb that cost $12 and the identical bulb without the energy-saving features for $6. Michele’s problem in thinking through the situation is that she doesn’t know how to compare the upfront energy savings in the form of lower energy bills and the cost of the energy saving bulb to that of the cost of the bulb without the energy saving feature. What you did: After calculating the net present value of the energy savings (using yearly savings as indicated on the package) over the life of the investment, you find that the seemingly more expensive bulb is actually much cheaper. 2. Should I keep my job at Tim Hortons or go to college for a business degree? Main concept: Time value of money (Net Present Value) and opportunity cost. Scenario: John is thinking about giving up his job at Tim Hortons and entering a business program at Concordia University. However, the tuition and other expenses related to the course are very expensive over the three year programme ($60,000). John’s problem in thinking through his decision is that he doesn’t know how to compare his upfront costs of going to college with the future benefits that would come in the form of a higher salary and better promotional opportunities. What you did: You make some assumptions about John’s future stream of income after the college degree (using forecast from employ Quebec), compute the net present value and subtract it from the net present value of his college expenses and opportunity cost of going to college. You do the same computations on his future stream of income without the college degree and compare the two values. It becomes pretty clear that John will be better off financially over the long run with a college degree. 3. I need to increase revenue from the sales of my services as webmaster and e-marketer in order to boost profits. What pricing strategy should I use? Scenario: John is the CEO of a high flying web-development and e-marketing company. However, sales have dropped and he wants to raise prices in the hope of boosting revenue and profit. Before doing that, he seeks for advice from you. John’s problem in thinking is that he doesn’t know how the market will respond to an increase in the price of his services. Fortunately, he understands that a wrong pricing strategy will actually bankrupt the company. What you did: You do an analysis of the elasticity of demand for web-development and e-marketing and you find that the demand is highly elastic. Hence, you recommend that the company should lower its prices. After implementation the implementation of the pricing strategy, demand increases significantly and boosts total revenue and profit. 4. After my first test, I’ve realized that my Microeconomics score of 70% needs to rise in order for me to obtain admission into Harvard business school. What should I do? Main concept: Production possibility frontier. Scenario: After Barbara’s first Microeconomics test, her score is 70%. She needs a score of at least 90% to be considered for the Harvard business school. Barbara’s problem is that she doesn’t know how to efficiently allocate her study time and social activities, subject to time constraints. What you did: You did a production possibility frontier of Barbara’s score subject to her present studying time constraint and found that a score of 90% was above her present possibility frontier (unattainable). Your recommendation to Barbara is that she should deduct 3 hours from Facebooking weekly and allocate them to the study of Microeconomics. After implementing your recommendations, Barbara’s score is now 94%. Students need to know the goal and expectations of writing exercises. They should understand that the exercises serve as a medium of thinking through problems, carefully considering how concepts presented in class can be applied to the analysis and resolution of problems. The exercises will be giving at the beginning and at the end of the lecture. Both texts will be graded in order to encourage students to read and think over the concepts before coming to class and during the lecture. The checklist in table 1 will be given to students. The main writing project in this course will be an economic policy analysis. Students will be encouraged to approach this writing project as a process where they learn through multiple drafts. The project will be divided into logical components, due sequentially and graded consecutively over the semester. This will, hopefully, help them make clearer and more persuasive economic arguments. A sample project will be presented in class and made available to students. The final product will not necessarily have a right answer, but should demonstrate the ability of the student to present properly reasoned arguments; some evidence of the student’s active learning; and the student’s application of economic concepts to real life situations.